So you are thinking about moving into Ashburn, VA and are looking to find some more information to see if Ashburn is the right place for you. Well, you have come to the right spot! 1st question you might ask….where is Ashburn, VA? Ashburn VA is settled within Loudoun County in Northern Virginia roughly 35 miles northwest of Washington, DC. The population of Ashburn has grown over 20% since 2010 to over 51,000 and still growing. Why has Ashburn become such a hotspot for new & growing families, retirees, and young professionals? Ashburn VA has many things to offer including great schools, great neighborhoods, new restaurants popping up, convenient location, and proximity to some great employers. Probably the most important factor, Loudoun County and Ashburn have done something right when it comes to education and the school system that they have developed. The Ashburn schools are some of the best in the DC metro area. When you compare Loudoun County schools in all of the state of Virginia, they ranked 40 schools in the top 100 of the state. Top high schools in Ashburn include Stone Bridge, Briar Woods, Broad Run. All but three of the middle schools in Loudoun County made the top 100 list and roughly 30% of the elementary schools made the top 100 list. These rankings are quite impressive considering the recent explosion of this school system over the last 20 years. A great place to find out the rankings of the schools in Ashburn and where you are considering moving is greatschools.org. And if you are looking to buy a home, there are plenty of neighborhoods to consider when looking at Ashburn, in Loudoun County. But first, to help you with your search for neighborhoods, amenities, etc, please know that Ashburn va zip codes are 20147 and 20148. I will provide an overview of the major neighborhoods within Ashburn. Knowing the zip codes will ensure that you find all of the homes in Ashburn that meet your search criteria. Ashburn Farm is a quiet community that developed back in 1988 that has over 1,370 acres and over 3,800 residences (1,800 detached homes, 1,400 townhomes, 460 condos, 162 apartments). Part of the historic Washington & Old Dominion Railroad trail (W&OD) borders the neighborhood to the north. Ashburn farm creates a community environment with its vast amenities including three outdoor pools (Windmill Pool, Breezy Hill Pool, and Summerwood Pool), each with a pool clubhouse. Other amenities include 12 tennis courts, 8 basketball courts, 2 soccer fields, 5 ponds stocked with fish, and many miles of bike & exercise trails. Ashburn Village also opened up in 1988 and has over 5,200 residential units including single family homes, condos, townhomes, and apartments. The major shopping center in the heart of this community is Ashburn Village Center with Giant foods as its anchor tenant. A beautiful neighborhood, Ashburn Village highlights some awesome amenities in the area including 8 lakes & ponds, the Ashburn Village Sports Pavilion, 8 playgrounds, 50 miles of trails, soccer, baseball, tennis, and basketball courts. The flagship amenity for this community is the Ashburn Sports Pavilion, which includes outdoor tennis courts (and in the winter they cover half the courts in a bubble for year round tennis), indoor/outdoor pool, sports gym with equipment, indoor basketball courts, after school care, and much more. Our custom real estate market reports provide some great information on the housing trends for Ashburn Village Real Estate. The Brambleton community is a relatively newer community in Ashburn with its first home sold in 2001. There are almost 10,000 people that live in Brambleton and have a plan for almost 9,000 residential units once complete. Brambleton has over 15 miles of trails, some great family parks, community centers, multiple pools, and some great retail space with Harris Teeter as its anchor tenant in the town center. Brambleton also includes the Brambleton Golf Course which is an 18 hole public course which offers some flexible golf memberships. One of my favorite places in the Brambleton community is the local gym in the town center called One Life. It is one of the top gyms in the area with plenty amenities for those that want to stay active, all for a reasonable price. Belmont Country Club is a premier residential Country Club and golf course gated community with over 2,100 residential homes in the entire Northern Virginia area. This community is located off of Route 7 and Clairborne Parkway. Beyond the Arnold Palmer 18 hole golf course, there is also a health club, recreation center with 3 pools, volleyball courts, tennis courts, and clubhouse. Driving through this neighborhood, you can see the pride that the homeowners have with tree lined streets, clean, and peaceful community. Additionally, the Belmont Chase shopping center has opened in the last 2 years right next to Belmont Country Club and houses Whole Foods Ashburn and some great restaurants that you should consider stopping over and checking out. If you are interested in an exclusive community in Ashburn with an awesome golf course and clubhouse, then you really need to be looking at Belmont Country Club. The Broadlands community includes Broadlands and the newer community Broadlands Southern Walk. This community has over 3,800 residences with total population almost 13,000 and conveniently located off of the Dulles Toll Road exit 5 and Clairborne Parkway. 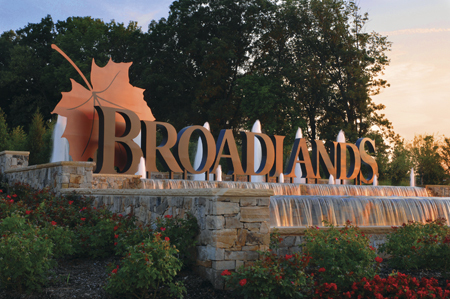 There are some great amenities in Broadlands includes playgrounds, 5,000 sq foot Nature Center, 3 community swimming pools, tennis & basketball courts, nature trails. Also included in Broadlands are two shopping center Broadlands Village Center with Aldi as its anchor tenant and Southern Walk Shopping Center with Harris Teeter as its anchor tenant. I absolutely love the Broadlands community and currently call it home myself, spouse, and 3 children. One Loudoun is the newest community in Ashburn VA that has popped up due to the huge demand that Ashburn & Loudoun County. The excitement of this community is really amazing with the One Loudoun retail center shops and restaurants. Beyond the amazing restaurants, the newest ‘get’ in One Loudoun is a Trader Joe’s shopping center that is opening this month. But the One Loudoun Restaurants are 2nd to none in the community with my favorites including Matchbox, Uncle Julio’s, and so many more. If you are looking for a young, vibrant community then you really need to consider One Loudoun as your next home. Loudoun Valley Estates is right next to the Brambleton community and has over 9,000 residences. The amenities include a fitness center, multiple tennis courts, basketball courts, miles of trails, tot lots for small children, and two community pools. Although Ashburn does not have any wineries and/or breweries, the proximity to the vineyards in Loudoun County and surrounding area is amazing. Within Loudoun County, there are 46 wineries and 33 breweries that are close and are popular family & party spots on the weekends. You cannot find a weekend in the spring and fall seasons where you don’t have a neighbor and friends heading out to a vineyard to enjoy the weather, the friends, and the wines & beers. It really is one of the hidden gems of living in Ashburn. 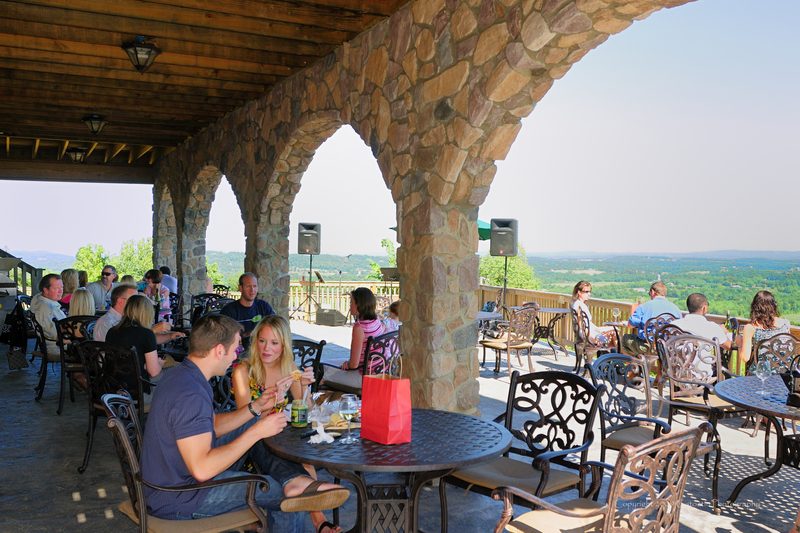 Favorite wineries include Bluemont Vineyard, Breaux Vineyards, Fabbioli Cellars, & Stone Tower Winery. Food & Wine magazine highlights the best wineries in Virginia and there are plenty from Northern Virginia to choose from. I do have to say one of the 1st breweries to show up in Ashburn that caught the excitement of the community is Lost Rhino brewery. It has some great beer choices to choose from, weekend music, and a really nice relaxed vibe that I really enjoy. I mentioned two of the golf courses in Ashburn, Belmont Country Club and Brambleton Golf Course. If you are a golf fanatic and enjoy hitting the links in the early morning or on the weekends, there are plenty of golf courses within a driver of Ashburn including 1757 Golf Club in Dulles, VA which use to be the AOL private golf course. Other top courses include Raspberry Falls Golf Course, River Creek Golf Club, Lansdowne Golf Resort & Trump National Golf Club in Sterling. Both the Trump National and River Creek have beautiful views along the Potomac River and are sight to see while you are walking up the fairways to the greens. While Ashburn doesn’t exactly roll off your tongue as the happening ‘hot spot’ in Northern Virginia, things are starting to change. As the population continues to move out to Loudoun County, with the infrastructure growth including the Silver Line Metro in the area, businesses relocating, etc - Ashburn will continue to see better and better restaurants in the area. With the new development in One Loudoun of mixed use retail & residential, there are some great restaurants to choose from that have opened up over the last few years. One Loudoun restaurants include Matchbox, Uncle Julio’s, Eddie Merlot, Sense of Thai, & Copperwood Tavern. My favorites are Matchbox and Uncle Julio’s - both have a relaxed vibe along with some great food to choose from. Belmont Chase shopping center has been built up over the last few years next to Belmont Country Club. With the anchor tenant of Whole Foods, there have been some great restaurants that have called Belmont Chase home including Cooper Hawk Winery, Bakers Crust, & CAVA. In Broadlands VA, we have seen restaurants come and go over the last 10 years. There have only been a few restaurants that have lasted the test of time including Clydes Ashburn, Broadlands Pizza, Bonefish Grill, Parallel Wine & Whiskey. There use to be a great Jamaican restaurant in the Southern Walk Plaza but unfortunately it has been replaced with a dentist office. Restaurants in Brambleton that I frequent include the Blue Ridge Grill and the Lost Rhino Retreat. Blue Ridge Grill is a American style restaurant that has a very relaxed atmosphere. The Lost Rhino Retreat is one of my favorites, not for the food but for the beer & the atmosphere. I love the vibe over at Lost Rhino and drinking their New River and Face Plant. A few other restaurants to consider when driving around Ashburn looking for a place to eat - how about Ford’s Fish Shack? This restaurant is off of Waxpool road and one of the local favorites for fish tacos & lobster rolls. 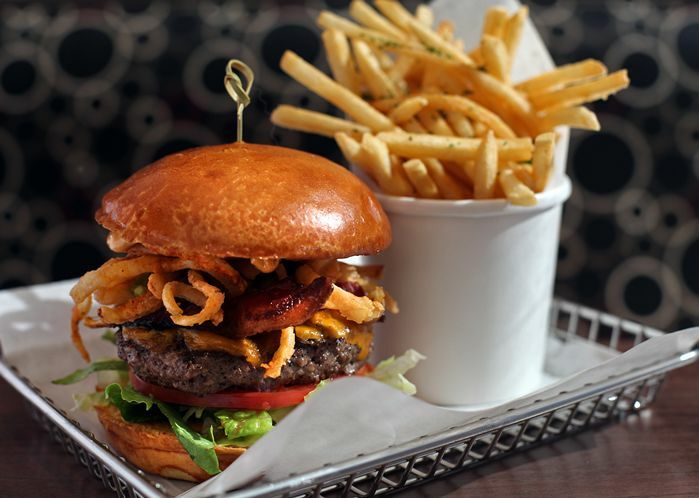 If you are just craving a burger, it doesn’t get better than Burger 21 in Loudoun Station. Burger 21 is a fast food style establishment but it’s burgers are 2nd to none. If you are looking some great barbeque, then look no further than Carolina Brothers Pit Barbeque in the old section of Ashburn right off the W&OD trail. Ashburn Ice House is facility off of Waxpool road that houses two ice rinks along with an exercise facility, and a pizza parlor. I have to say that the Ice House has some outstanding hockey and ice skating programs available for both children and adults. My daughter actually started ice skating lessons a few winters ago and had a blast. They have some great teachers here that are very patience and will work with the parents in placing your children in the correct program. The Ashburn Ice house also is the home ice rink for some of the best hockey teams in the area including the Ashburn Xtreme club teams which send 3 teams to the USA Hockey Nationals after sweeping the Virginia State championships. A great place to go with friends, take a date, and bring your children to is Top Golf Ashburn right in One Loudoun. I absolutely love this place and have brought my kids here multiple times because they have a blast when they are here. 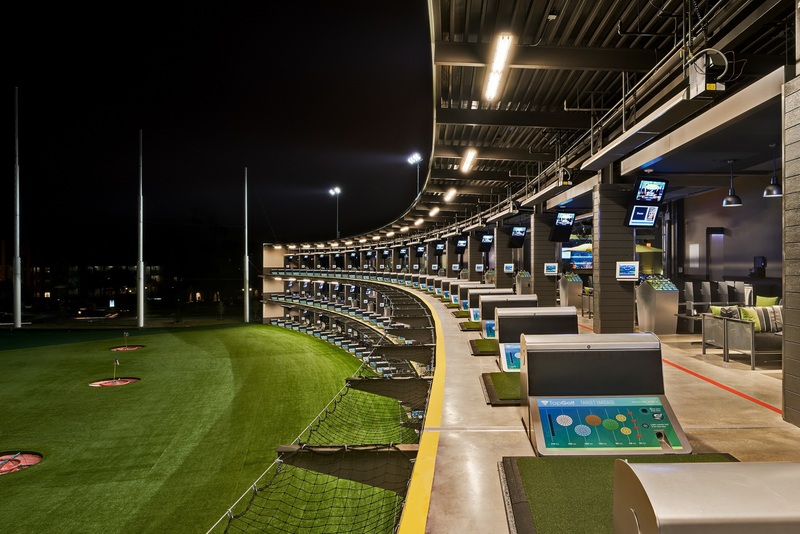 Top Golf Ashburn is a relaxing driving range with individual stalls with couches and your very own waiter who will bring you food and drinks. It's a great set-up to enjoy company while you are taking some swings with the driver and 5 iron. I highly recommend Top Golf as one of the best destinations in Ashburn, VA. There are three movie theaters in Ashburn right now, we have the Regal Fox Stadium in Brambleton Town Center, the Alamo Drafthouse Cinema, and the AMC Loudoun Station. I have only been to the movies 3 times over the past 5 years but the last movie I saw was at the Alamo Drafhouse and I have to say it was a great experience. The chairs were huge and comfortable, the leg room was amazing, and the service provided was 2nd to none. The Silver Line metro opened for construction amid much controversy in 2014 and they are hoping phase 2 is complete in 2019 which includes the extension from Reston, VA to Dulles Airport all the out to Ashburn VA. The Ashburn station will be the final stop on the Silver Line and is located right off the Dulles Greenway at Loudoun Station. There has been huge development in the area of this metro station with both retail and residential structures popping up everywhere. Time will tell of the metro station is needed all the way out to Ashburn and how much ridership actually happens. Many residents have their doubts and are worried this entiree project was a boondoggle for the politicians in the area, some of which changed their votes at the last minute. If you are considering making Ashburn VA your home, I'd love to share my love of this neighborhood with you. Please reach out to me and I can share with you all the hidden gems I have found by living in Ashburn for over 10 years.